PSCFO is saddened to learn of the passing of Ray Diebold of Sinking Valley and, more recently, Altoona on June 8. Ray was a faithful member of the PSCFO board up until a year ago. Ray will be remembered for his dedication and hard work for the dairy industry and his wry sense of humor. He was a colleague and friend to many in agriculture and his leadership and good nature will be sorely missed. 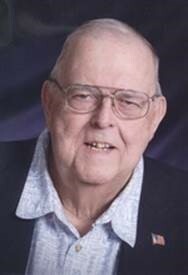 Raymond J. Diebold, 75, Altoona, formerly of Sinking Valley died Monday morning at his home. He was born in Lockport, New York, son of the late Bruce W. and Ruth C. (Groff) Diebold. He married Judith L. Ocker on June 22, 1963 at the University of Maryland Chapel, College Park, Md. Surviving are his bride; a daughter, Karen Diebold (Terry Conrad) of Juniata two sons, Kenneth (Cheryl) of Sinking Valley and Kevin (Angela) of Tyrone; four grandchildren, Mikayla, Madelyn and Karly Diebold and Corey Conrad; a step granddaughter, Kaitlyn DeArmitt; a step great granddaughter, Abigail DeArmitt; a sister, Dian (William) Johnson of Elkton, Md. ; and two brothers, Thomas (Betty) and Daniel (Carol) both of Elkton, Md. ; and many nieces and nephews. Ray served with the US Army Reserves. He attended the University of Maryland where he studied Agronomy and Diary Science. He retired as a dairy farmer at Deer Line Farm, Sinking Valley after 35 years of dedication. Ray became a member of Dairylea Cooperative, Inc. in 1972 where he remained an active member of the board of directors for more than 30 years and was also active with various agricultural venues including Pennsylvania Farmland Preservation and the Pennsylvania Dairy Promotion Program. Ray was a member of St. Joseph’s Catholic Church, Bellwood where he served as an usher and a member of Knights of Columbus Msgr. O`Malley Chapter, Bellwood. Friends will be received from 2-5pm Friday, June 12, 2015 at Jon C. Russin Funeral Home, Inc. Bellwood where a vigil for the deceased will also be held and from 10-11am Saturday, June 13, 2015 at St. Joseph’s Catholic Church, Bellwood. A funeral mass will be held at 11am Saturday at the church, Rev. David H. Roesch as celebrant. The family suggests that contributions in Ray’s memory be made to FFA Tyrone Chapter c/o Tyrone Area School District Attention: Ag Program 1001 Clay Avenue Tyrone, PA 16686 or Home Nursing Hospice 201 Chestnut Avenue Altoona, PA 16601.